With the development of per-segment search, the delay between indexing a document and making it visible to search dropped dramatically. New documents could be made searchable within minutes, but that still isn’t fast enough. The bottleneck is the disk. Commiting a new segment to disk requires an fsync to ensure that the segment is physically written to disk and that data will not be lost if there is a power failure. But an fsync is costly; it cannot be performed every time a document is indexed without a big performance hit. What was needed was a more lightweight way to make new documents visible to search, which meant removing fsync from the equation. Sitting between Elasticsearch and the disk is the filesystem cache. As before, documents in the in-memory indexing buffer (Figure 19, “A Lucene index with new documents in the in-memory buffer”) are written to a new segment (Figure 20, “The buffer contents have been written to a segment, which is searchable, but is not yet commited”). But the new segment is written to the filesystem cache first—which is cheap—and only later is it flushed to disk—which is expensive. But once a file is in the cache, it can be opened and read, just like any other file. Lucene allows new segments to be written and opened—making the documents they contain visible to search—without performing a full commit. This is a much lighter process than a commit, and can be done frequently without ruining performance. In Elasticsearch, this lightweight process of writing and opening a new segment is called a refresh. By default, every shard is refreshed automatically once every second. This is why we say that Elasticsearch has near real-time search: document changes are not visible to search immediately, but will become visible within 1 second. Refresh just the blogs index. 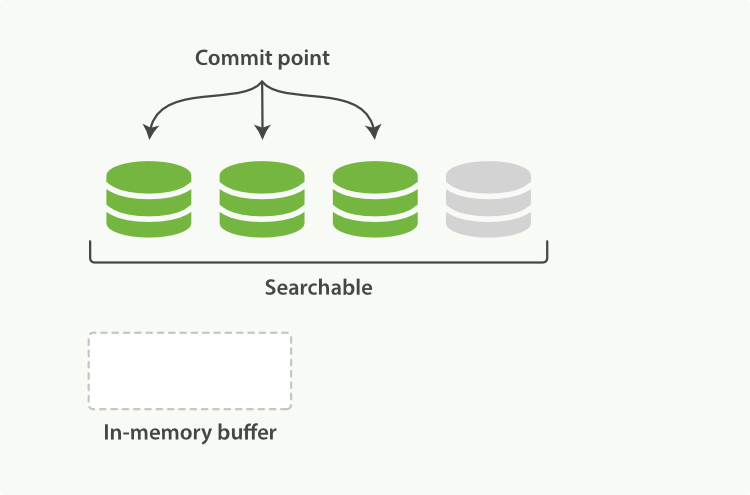 While a refresh is much lighter than a commit, it still has a performance cost. A manual refresh can be useful when writing tests, but don’t do a manual refresh every time you index a document in production; it will hurt your performance. 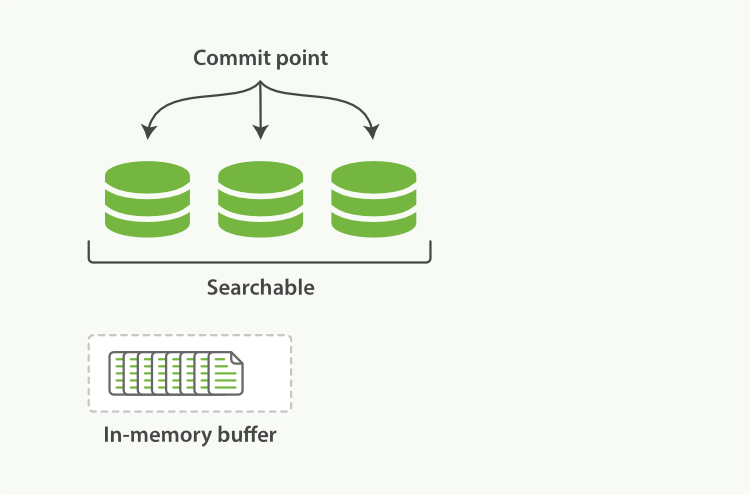 Instead, your application needs to be aware of the near real-time nature of Elasticsearch and make allowances for it. Refresh the my_logs index every 30 seconds. The refresh_interval expects a duration such as 1s (1 second) or 2m (2 minutes). An absolute number like 1 means 1 millisecond--a sure way to bring your cluster to its knees.